Secured Credit Card, What Is It? Unfortunately, many Americans have some type of debt whether it is unsecured or secured. However they usually do not know the difference and in the end their credit score has plummeted so they cannot get a loan for a major purchase for example; a car. A secured credit card may be the answer to rebuilding the credit that the person once had before they had financial difficulty. The first thing a person needs to research online at a number of websites and do some comparisons. Look for a secured credit card that does not charge an application fee along with a low annual fee which should be around $29.00. Read all the fine print because some of them have other fees added onto the credit card. People who never had a credit history, usually high school seniors or college students. These individual’s cannot get a traditional loan without having a co-signer or over the age of 21. Gives students a chance to build good credit and financial responsibility. People, who need to repair their poor credit history, may find that having a secured credit card will establish or reestablish their credit history. Although this may seem the best way to restoring bad credit, there are other options that may be considered. A secured credit card is issued by banks or credit unions, which require an annual fee and deposit. The security deposit can be the following along with a locked low credit limit. The security deposit has to equal the amount of the limit. For instance, the limit of the secured credit card is the amount of $250.00 then the security deposit is also $250.00. Deposit on an average can be from $200.00 to $500.00. 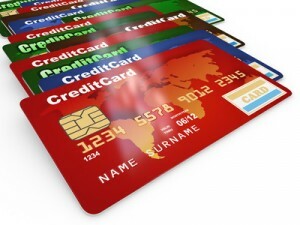 There are annual fees for each type of card, however on average it is $29.00. There may be other fees not mentioned, including an application fee. Half of the nation’s credit unions now offer the secured credit card to their members and in many cases offer interest rates that are lower and waive the annual fees. If the person belongs to a credit union call to see if they have a secured credit card and what process is used for applying for it. The secured credit card will not raise the current credit score immediately when the financial institution reports to the three credit bureaus. Every time a person opens a new credit card account will actually bring down the credit score. Belief it or not, every time a credit inquiry happens by a credit company a mark is left on the credit report. This causes financial companies to possible flag the account. The good news is the security deposit can be used in a positive way by lowering the debt amount. Remember that the request to see a person’s financial report on file can affect at least 30% of the total credit score. The security deposit lessens the risks for banks because they will use the money to make a payment. A person who is interested in improving their credit score should start with researching all possibilities. A budget on spending habits is something that should be done right away before getting any type of credit cards. There are several ways a person can improve their credit score without getting too many credit cards that can financially stress the budget. Here are a few ideas to consider. Financial stability of making payments before or on the due date will provide an individual a way to slowly increase their credit score. At the same time a person needs to at least make the minimum payment with some extra money towards the interest to pay it off on the next billing cycle. At all cost try to keep the balance to 30% less than the credit limit so that making the payment is not a burden financially. It is important to open a new credit card account only if it’s really going to be used and needed. If the person does not need it because they have too many to begin with and by adding a secured credit card could actually harm their credit score in the long run. People who are already overwhelmed with debt should always look for other financial alternatives before getting themselves more into debt. An individual or a family does decide to use a secured credit card they should read all the fine print.